I have always been fascinated by numbers and dates. I am not sure if that fascination is related to the fact that I was born on a Friday 13th or not but since I was a kid, numbers have always intrigued me. So, it’s no surprise that around this time of the year we are all smiles at The Magalhaes’ household. Can you take a guess on what the following numbers (50,15 and 9) are? Hint: it’s not tonight’s Powerball drawing. Ok, time’s up! Fifty (50) is what Ana turned on May 30th. As a surprise birthday gift, I took her on a nice weekend to Key West. I know, I am a nice husband (I swear those were her own words). 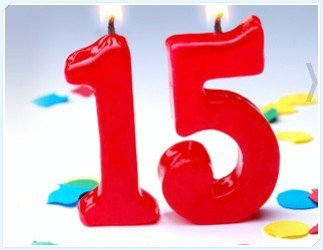 Fifteen (15) is number of years I am living (the dream) in America. I landed in Miami on 6/1/2000 and moved to Massachusetts a month later. I have been calling this my home since. 3. And last but not least: nine (9) is Shades In Place’s anniversary! Honestly I cannot believe it has been NINE years already since I started my “part-time” company on 6/20/2006. So this month I won’t try talking you into buying automated shades or replacing those ugly blinds with all the cords dangling on the floor….I am too busy eating all the cakes we have from celebrating the lottery of our lives. But one thing for sure: I will put down the cake to answer your call or respond to your email in case you want to say Happy Birthday to Ana (or me) … If you don’t believe it, try it: 508-520-6700 or email:roger@shadesinplace.com here.